It's a simple point-and-click shooter game. 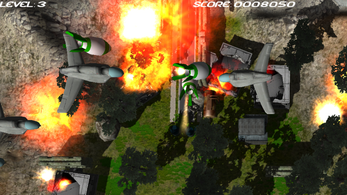 Take a role as a commander of The Earth Rocket System. Try to stop alien invasion on our planet. How many levels you survive before all your buildings will fall to ruin?